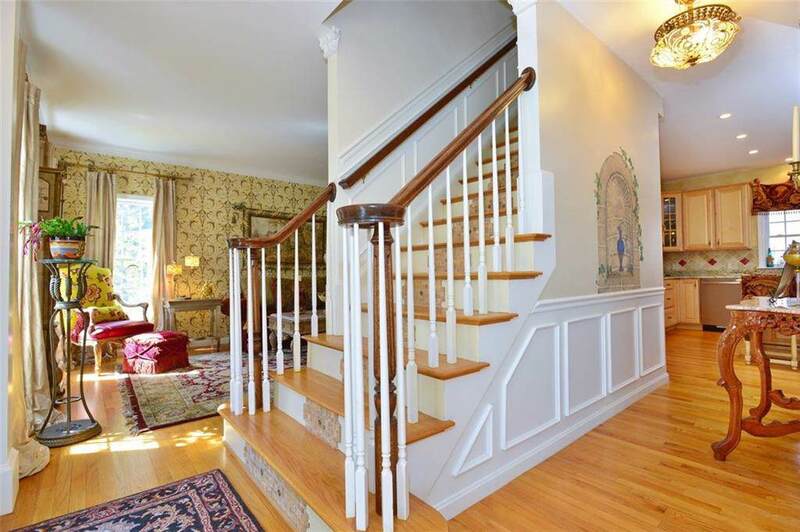 Custom built Meridian Home in the heart of Western Cranstons most sought after neighborhood, Ridgewood Proper. The original owner has kept and continued to upgrade this beautifully appointed home since it was built. Sensible design with open gourmet kitchen/ family room along with a separate formal living and dining room makes a fabulous home for entertaining and everyday living. Spacious master suite with plenty of closets and ensuite bath include double vanity, soaking tub and separate shower. 2 additional bedrooms and home office/den share spacious hall bath. Finished basement offers an additional place to entertain, exercise or would be perfect hobby room. Some recent improvements include a 3 season room overlooking the professionally landscaped park-like fenced in grounds with inground gunite pool and almost 6 acres of land! Other recent upgrades include a tankless hot water tank, granite counters, Bosch appliances, refinished hardwood floors, and new roof- just to name a few. New Driveway with cobble stone edge leads to a 2 car attached garage; Corinthian granite stone veneer adds a sophisticated accent to the newly stained exterior front. Front door is flanked with leaded glass door sidelights welcoming your visitors and offering stand out curb appeal. This is truly a perfect home for todays fast paced living with luxurious finishes, private setting with easy access to Garden City, Chapel View and all other conveniences.